As of March 16th 2015, there are 48 Single Family Homes listed for sale in the MLSPin system. These homes range from a low of $174,900 to a high of $749,900. The majority of listings are priced between the range of $200,000 and $300,000. So what does the $200,000 to $300,000 range get you in the town of Bellingham MA? You can expect an average of 1600 square feet, Ranches, Capes and Colonials. Surprisingly, you can also expect to find some new construction for under $300,000! The higher end of the single family market finds luxury homes in excess of more than 3000 square feet of living space. Many of these homes are new construction, but there is ample amount of re sale homes to choose from as well. Bellingham MA is located approximately 30 miles southwest of Boston, 23 miles southeast of Worcester and 20 miles north of Providence RI. Easy access to major commuter routes as well as the Boston Commuter rail makes this community a perfect location for those working in and around those major hubs. 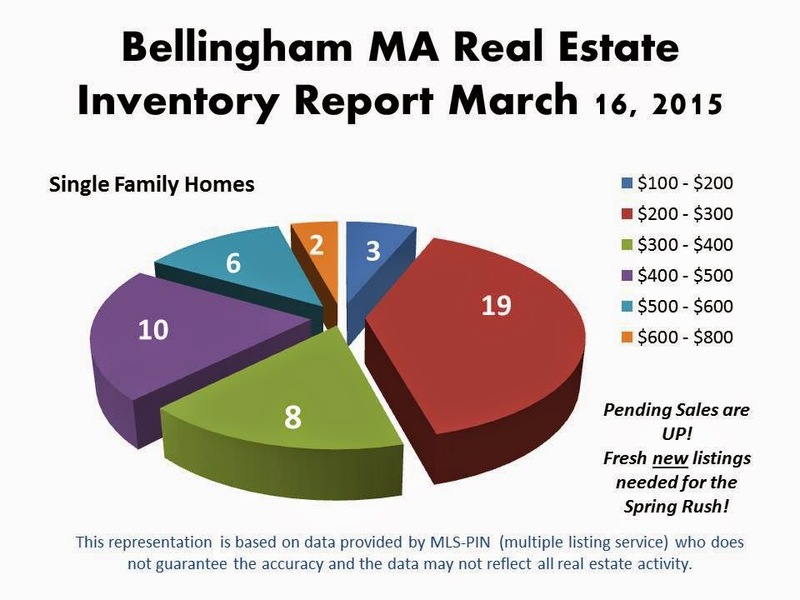 If you have been contemplating putting your Bellingham MA home on the market, now is the perfect time to start the process. 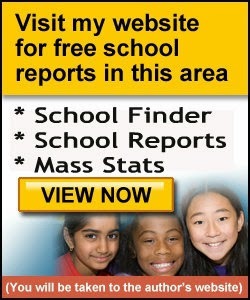 for a complimentary, comprehensive, hassle free market analysis of your home! I don't know about you, but it's been the winter from hell for me! On a personal note, it started out with news from the Doc that surgery was in order. That went fine due to the very capable professionals at Tufts Medical Center in Boston and the great and friendly folks at Active Physical Therapy in Bellingham MA. On a professional note, it started with my client taking a trip to the ER after a long tumble down an entire flight of stairs while viewing a home. Wet shoes, (thank you Mr. Snowman), I am sure were the culprit. It went downhill (and I don't mean skiing) from there, trudging through banks of snow showing "out of town-ers" listings, viewing homes with no heat and, believe it or not, actually finding a skating rink on the INSIDE of a what was I am sure a wonderful home. While the weathermen were dancing and commanding the airways, the shut down of the T and the loss of business that local shops and restaurants have endured has been just too much this year. I'm ready for spring. Don't get me wrong. I love my new System 2000 (provided and installed by Palmieri Mechanical Services). I appreciate the creature comforts that this warm system and my heated car seats bring. To me, March says not just St Patty's day but, "GOOD BYE OLD MAN WINTER". Let the melting begin but let it go slow. I am wondering if the waters at my favorite kayaking spot will reach the all time (in my kayaking lifetime) high of April 2010, when we could not pass under the bridge on 109 at the Millis/Medfield line. I can't wait to get on that river. As excited as I am for the snow melt and the high waters in the Charles River, please Mother Nature, give these Massachusetts homeowners a break by letting it happen slowly as not to terrorize their poor homes any longer. Good bye old man winter. I can't wait to be showing the exterior of a home, worried about mud vs. snow! Start by calling Al and Cal Realty Group for a Free, No Obligation Market Analysis of your home. The process will begin with a visit from a member of The Al and Cal Realty Group. They will do a simple visual inspection of your home. (No need to worry about cleaning your closets for them!) They do this to note it's size, condition, and determine it's amenities including the location. Once they have this first hand information, they will take a comprehensive look at the market, paying particular attention to what homes have recently sold, what homes are pending, and how the current market looks in relationship to your property. The team will use their years of experience to make comparisons. With these comparisons, they will be able to establish an accurate range of value. They will furnish you with a written report so that you will be able to see what data they used to arrive at their findings. Unlike an on line analysis, the team uses real time info, and their knowledge of the market vs strictly information found on public websites. Their approach is far more reliable in determining value. 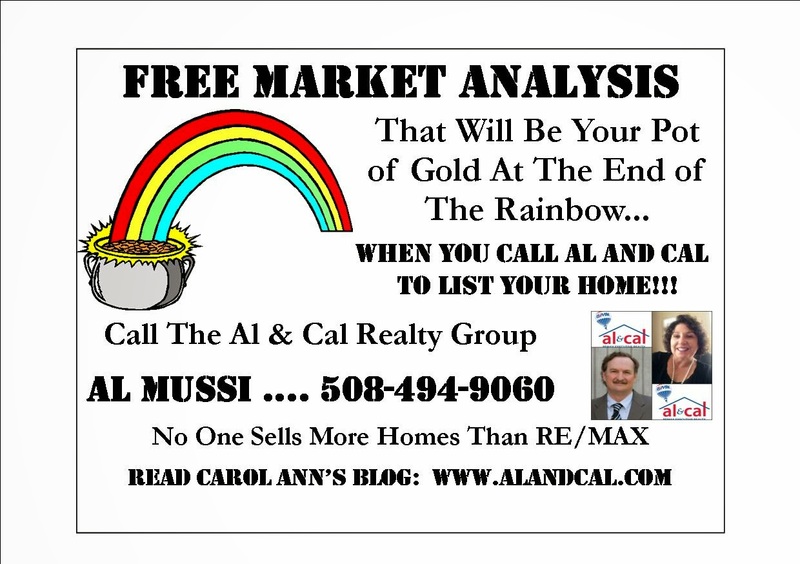 Call Al and Cal Realty Group at 508-494-9061 for a written Free, comprehensive Market Evaluation. 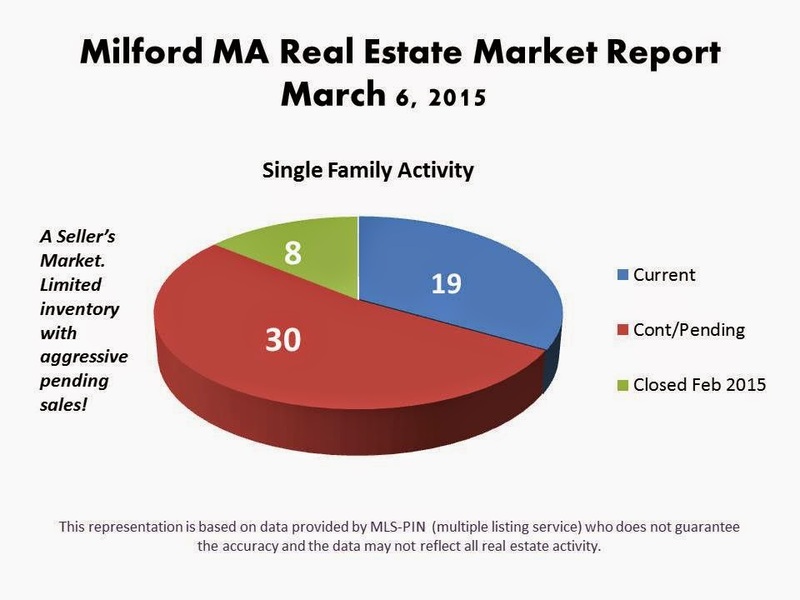 How many homes have sold in Milford MA in February 2015? How many homes have sold in Milford MA in February 2015? 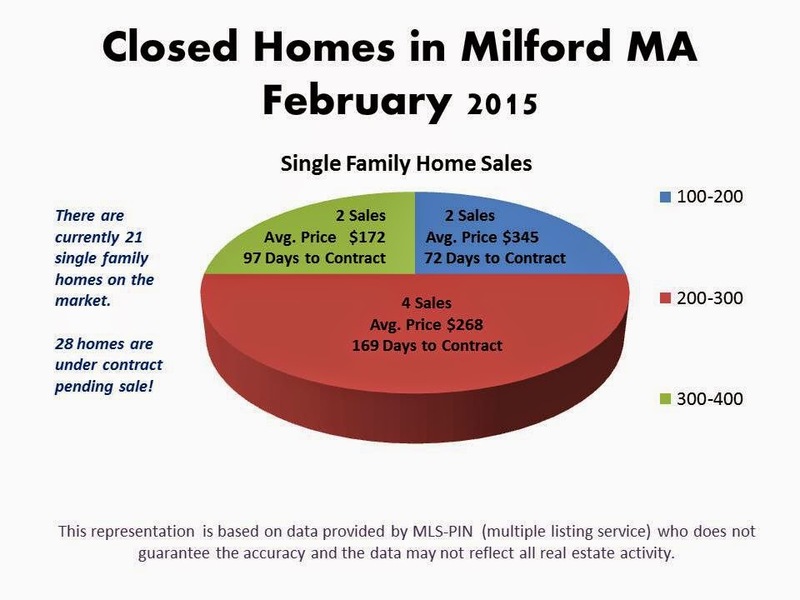 Only 8 homes closed in the month of February 2015 in the town of Milford, MA. Despite these figures, the frigid weather and the mountains of snow, the month of February has been active. The market has picked up considerable with 24 of the 28 pending homes going under contract in the month of February! 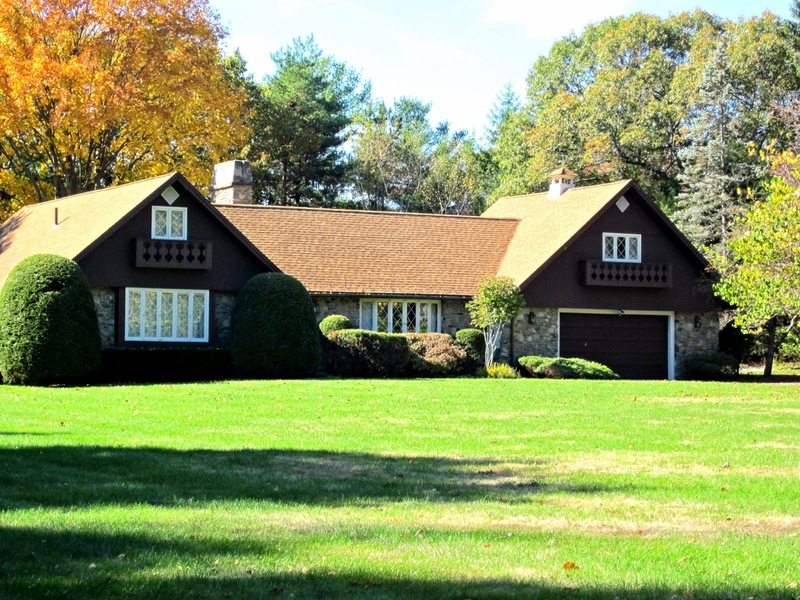 Buyers looking to purchase a single family home in Milford MA have just 21 single family residences to choose from. These homes range from a low of $86,500 to a high of $415,000. 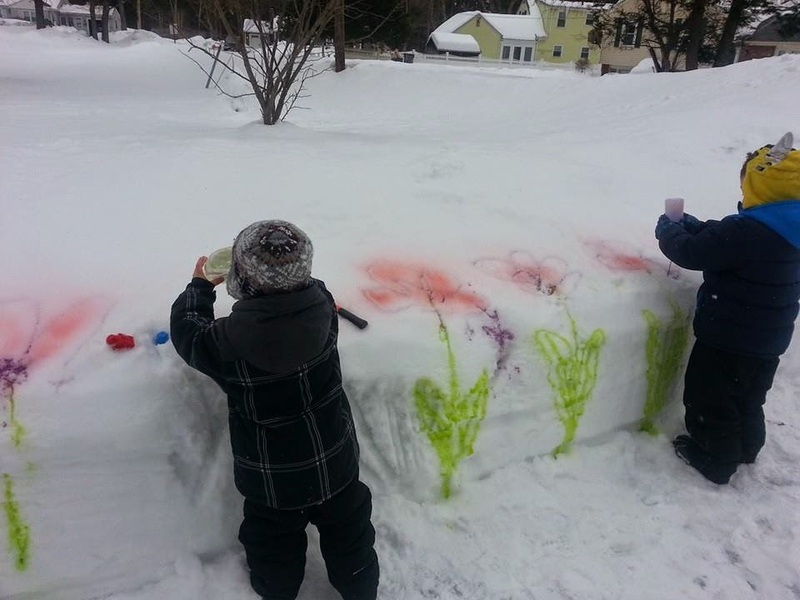 If you are thinking of selling, don't wait for the snow to melt!